V nickels, also known as Liberty Head nickels, were designed by Charles E. Barber and were first released in 1883. The ?V? nickname stems from the primary reverse device, which is a large Roman numeral ?V? signifying the coin?s face value of five cents. This feature caused some confusion early on when the ?V? was the only indication of the coin?s denomination, with the word ?CENTS? nowhere to be found on the first 5.5 million or so Liberty nickels struck in 1883. The United States Mint soon added the inscription ?FIVE CENTS? to the reverse of the coin, in addition to the ?V,? and the design remained virtually unchanged for the next 30 years. The last ?V? nickels were struck for circulation in 1912, though five rolled off the presses in 1913 and were later revealed to the public by a former US Mint employee. The 1913 Liberty Head nickel, which is not a regular-issue coin as it was never formally released into circulation, is now considered one of the rarest and most valuable coins in all of numismatics. In addition to the 1913 Liberty Head nickel, there are a few key dates worth noting in the series. 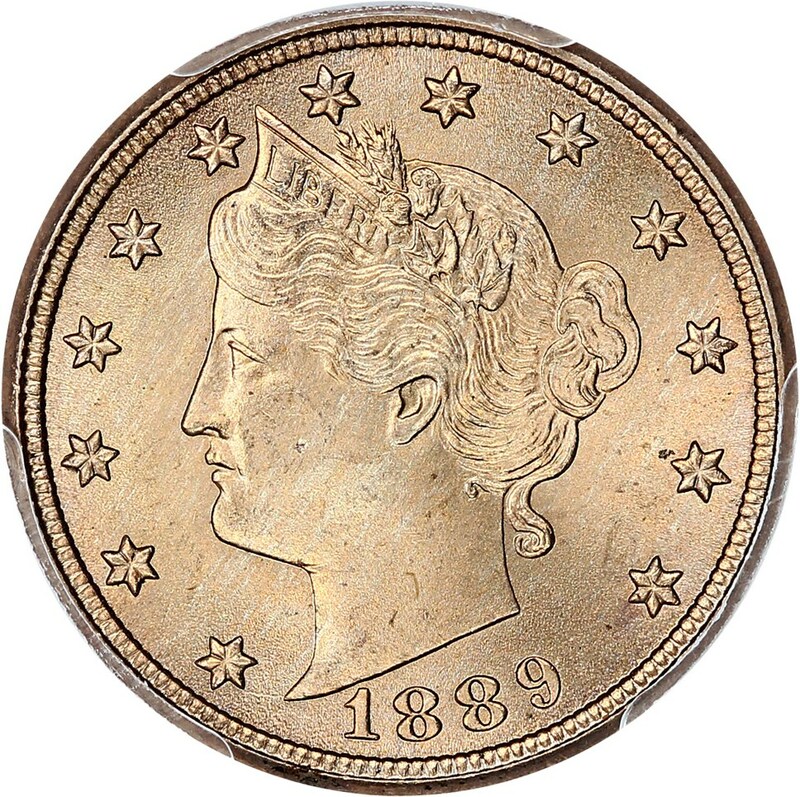 These include the 1885 and 1886 Liberty Head nickels, which are genuinely scarce in all grades. Also ranking among key dates is the 1912-S Liberty Head nickel, which is the lowest-mintage business strike issue in the series (with only 238,000 struck) and alongside the 1912-D Liberty Head nickel represents the only year in the series when mintmarked examples were made.